When was the last time you visited the doctor? You should, did you know that most insurance companies cover these at no charge? Preventative care is becoming more and more the norm these days. Why? Many NYC employers and insurance companies have discovered something that doctors have known for ages, that prevention is the key to health. Health care should be humane, and should be based on a patient and doctor relationship. This relationship should include trust, and a sharing of knowledge. With a complete physical exam all of your medical needs are met immediately. It’s made to be that way, we want to make sure that every single question you have about your health is answered. We have to be the best at it. These exams begin with a tailored exam set for age, gender and specific needs. They are usually offered to patients at least 16 years of age and older. 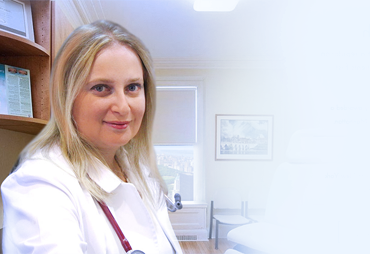 What does a New York comprehensive medical exam include? Once the tests are finished the next step is the lifestyle health risk assessment. After testing the doctor will create an in-depth personal wellness profile. The Cardiovascular Risk assessment may also include a high definition CT heart and total vascular scan, electrocardiogram, treadmill stress test and/or an angiography. What else is included in this exam? A nutritional evaluation is also included as well as a cancer screening. The cancer screening takes into account all possible areas where cancer may occur based on family history. Other tests include a CT lung and full body check up. A personal consultation with the doctor will exam the results of all tests. The personal wellness plan is a detailed review of test results and medical findings. What happens after the full body check up? First you will review the information with the doctor. This is the time to ask questions. She will also begin to suggest lifestyle changes that you need to make to live longer and happier. An annual comprehensive physical examination is the cornerstone of living a healthy life. The doctor will be able to use all of these tests to ensure that your body has the optimum analysis that it deserves. Once you have finished, your doctor will give you more information if you need it.